I got Adam a deep fryer for Father's Day this year and we've been getting a ton of use out of it. We don't eat fried foods all that much, but when we do it's nice to get them just right, and there's basically no cleanup! 1 /14 cups of flour. 1 teaspoon of Old Bay Seasoning. 3/4 cup of bread crumbs. Mis together flour, baking powder, and Old Bay. Dip onion in the flour mix and then in the egg mixture. 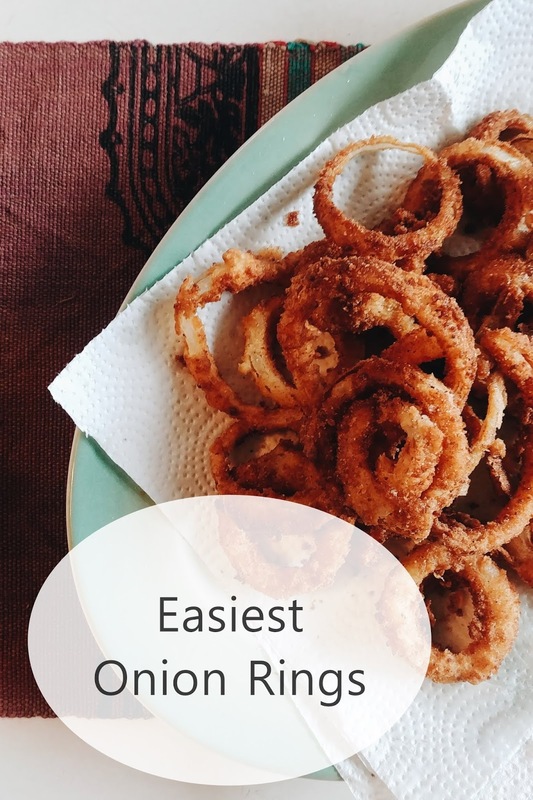 Gently coat with bread crumbs and then fry for about 3-4 minutes in oil. Take out, drain on paper towels and sprinkle with salt to taste.